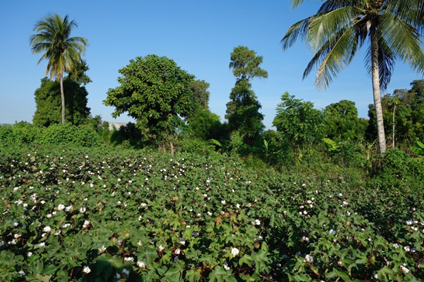 Last August, Haiti’s Smallholder Farmers Alliance and global outdoor lifestyle brand, Timberland, planted cotton seeds at a trial site near Gonaives, with the intention to bring cotton growing back to Haiti after a 30 year hiatus. Four months later, the cotton plants are thriving and at various stages of maturing. All 15 varieties being tested will be harvested by late January. 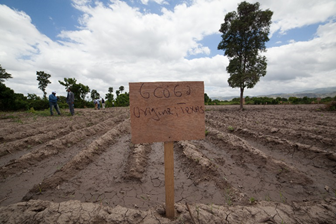 Once Haiti’s fourth largest agricultural export, cotton farming faded from fields and from view by the late 1980’s. With changing times and a feasibility study that confirmed now would be an appropriate time to re-launch cotton growing in Haiti, the Smallholder Farmers Alliance partnered with Timberland and Vans to integrate cotton farming into the SFA’s proven program to reforest Haiti and help Haitian farmers increase their crop yields and incomes. The SFA currently expects to harvest all the cotton from the field trials by late January. 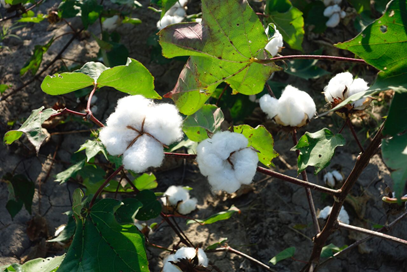 The cotton samples will then be tested to determine the best varieties to grow in the second planting expected to happen in August, 2019. 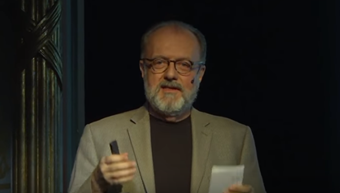 To learn more about how the SFA converted trees into a currency that improves farmers’ lives and the environment, click here for Hugh Locke’s recent talk at TEDxTarrytown. To learn more about Timberland’s commitments to create responsible products, protect the outdoors and support communities around the globe, visit timberland.com/responsibility.